LIMITED TIME OFFER! Get this big bundle for only $14. 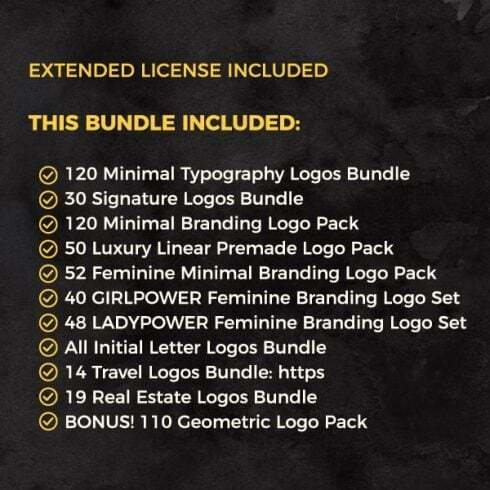 Original price of this bundle is $186. 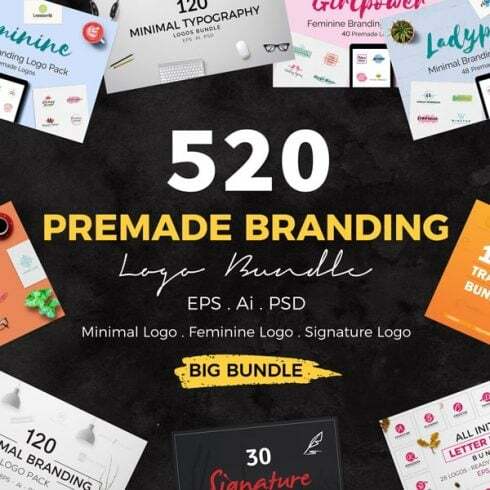 Introducing the 520 Premade Branding Logo Bundle to different types of professionals for their personal or commercial branding. This high-quality premium collection of minimal and feminine premade logos can be used in your website, blog, fashion, magazine, salon, beauty parlor, photography or different types of agency. Every logo is fully editable and very easy to customize. EXTENDED LICENSE INCLUDED at the same price. So that you can produce UNLIMITED end products for your clients. With this 520 premade logo pack you will get bonus 110 Geometric Logo Pack!